This isn't your grandmother's antiquing. 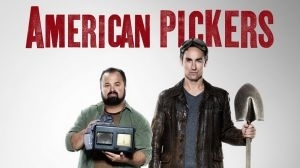 Pickers like Mike Wolfe and Frank Fritz are on a mission to recycle America, even if it means diving into countless piles of grimy junk or getting chased off a gun-wielding homeowner's land. Hitting back roads from coast to coast, the two men earn a living by restoring forgotten relics to their former glory, transforming one person's trash into another's treasure. 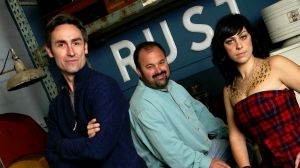 American Pickers follows them as they scour the country for hidden gems in junkyards, basements, garages and barns, meeting quirky characters and hearing their amazing stories. If you think the antique business is all about upscale boutiques and buttoned-up dealers, this show may change your mind--and teach you a thing or two about American history along the way. A century-old Italian grocery store turned time capsule features an early 20th century delivery truck and a secret crypt that's calling Mike's name. Mike and Danielle crawl into a Pittsburgh time capsule while Frank and Robbie plow through six generations of stuff on one of Michigan's oldest farms. Aerosmith's legendary tour van gets an overhaul just in time for a visit from Rock'n'Roll royalty.